Emed’s Weight Loss Profile involves specific Integrative Medicine Testing to identify any metabolic or nutritional factors that are putting the brakes on your weight loss efforts. It’s time to skip the guesswork and start improving your health with individualised health and lifestyle recommendations based on your results. What does the Weight Loss Profile Test for? Fasting blood glucose, lipid studies, vitamin D, high sensitivity – C-reactive protein and thyroid hormone levels are tested in this breakthrough weight loss aid. T3 and T4 regulate the body’s basal metabolic rate, influence heart and nervous system functions and are essential for growth and development. Under-active Thyroid function is a common cause of weight gain and/or difficulty losing weight, particularly in women and must be addressed if it is affecting you. Fasting Glucose – This test provides important information on how your body is processing sugar and if you are at risk of insulin resistance or diabetes. Poor blood sugar regulation is a major cause of weight gain, particularly around the belly. Fasting glucose is also an important part of screening for cardiovascular disease as diabetes significantly increases the risk of hypertension, stroke, heart attack and atherosclerosis. Lipid Studies (Total Cholesterol, HDL, LDL, Triglycerides, LDL/HDL Ratio, Chol/HDL Ratio) – Elevated blood lipids are associated with high levels of inflammation and significantly increase the risk of cardiovascular disease. Blood lipid elevations often occur as part of a wider state of metabolic dysfunction known as metabolic syndrome, which is both a cause and result of a weight gain and obesity. Healthy weight management is essential for helping to normalise blood lipid levels and reduce heart disease risk. C-Reactive Protein – High Sensitivity – As overweight and obesity are chronic inflammatory conditions, high sensitivity-CRP is a valuable blood marker to measure and monitor the levels of inflammation in the body. Normalising inflammation is a major priority in a healthy weight loss program, as chronic inflammation will disrupt blood sugar regulation, encourage excess fat storage and increase the risk of developing cardiovascular disease. Vitamin D – Vitamin D deficiency is extremely common, even in Australia and is linked to insulin resistance, type II diabetes and obesity. Research also shows that Vitamin D deficiency can disrupt healthy thyroid function and interferes with the action of the hormone Leptin, which is responsible for telling your brain that you are full and thereby leading to overeating. What will I get from the Weight Loss Profile? After taking this test you will have a personalised guide to your current state of metabolic health and an ideal strategy for how to support your wellbeing and achieve a healthy body weight. There will be no more running from practitioner to practitioner in the search for an answer – the information provided is priceless and could provide an end to your weight loss battle. Why Get Tested Through Emed? Firstly, you will save yourself the time and hassle of having to go and wait at your GP’s clinic for an appointment. The Qualified Emed team is happy to answer any questions you may have regarding the Weight Loss Profile, and will send you your test referral directly. All you need to do then is go to your nearest collection centre to have your sample taken for testing – we will even tell you where this is! When we receive your results we look at what your hormone, nutrient and other blood marker levels are, and what they should be for optimal health. We don’t just look at standard reference ranges given by test labs, which is how blood tests are often interpreted. We take notice if you have any suboptimal results and help you get your health back on track before you experience any severe deficiencies or metabolic abnormalities. 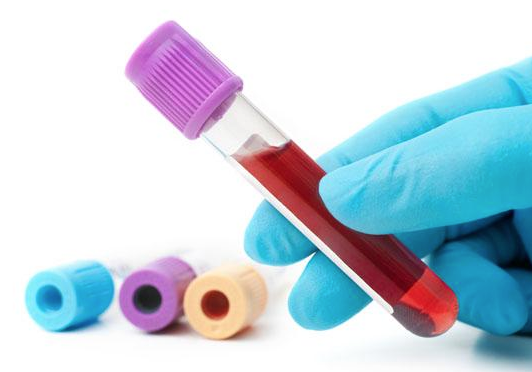 Please note: This test profile can only be used by people with access to Healthscope Collection Centres (Australia wide), as blood samples need to be drawn. To find out where your nearest Healthscope Collection Centre is, click here. The website cost for the Weight Loss Profile covers the test referral, the test itself, processing of all information and interpretation and collation of final results into your personalised comprehensive report.